Time for another Campers Pantry tuna taste test! This time I had the pleasure of trying the Tuna Spread. The range from Campers Pantry continues to grow and is now a staple for outdoor enthusiasts. And this one really is great providing the potential to spread (no pun intended) the meal across several dining opportunities if you find yourself on the trail without a tuna liking hiking buddy. So what is so great about this one? The taste clearly but if you combine this spread with flat bread or wraps, you can stretch the two meal option over three generous meals or possibly four generous snacks. 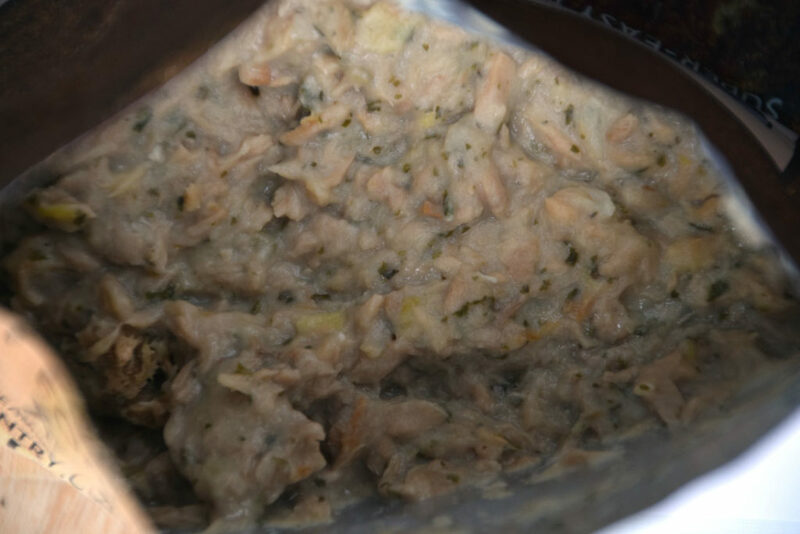 That makes the Campers Pantry Tuna Spread very economical and very versatile. 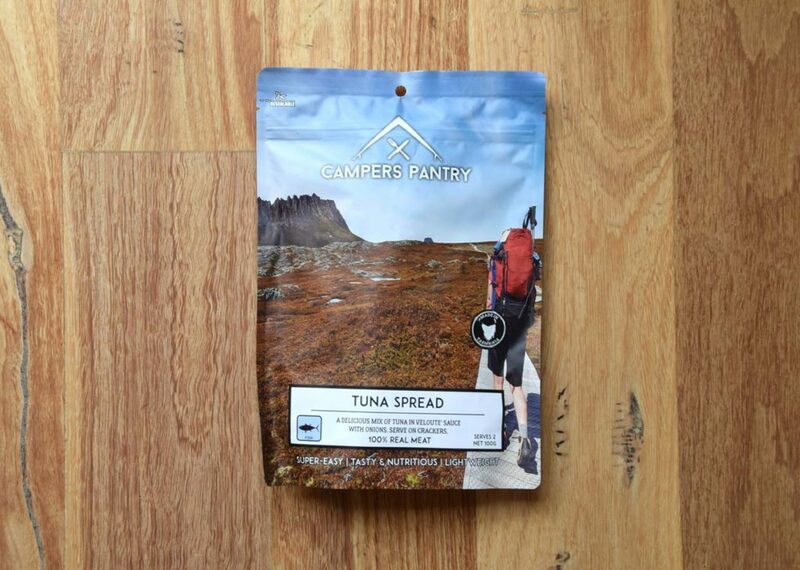 The Campers Pantry Tuna Spread also solves the weight issues, and provides a big hit of protein. The pack size is 100g and the preparation is simply the addition of cold or hot water and a good stir which makes it a terrific lunch or dinner option. I chose to add hot water because I figured that would really accentuate the aroma – and I was pleasantly surprised. And the result? Well I remember years ago watching one of those celebrity cook TV shows and hearing the comment that fresh fish doesn’t smell. 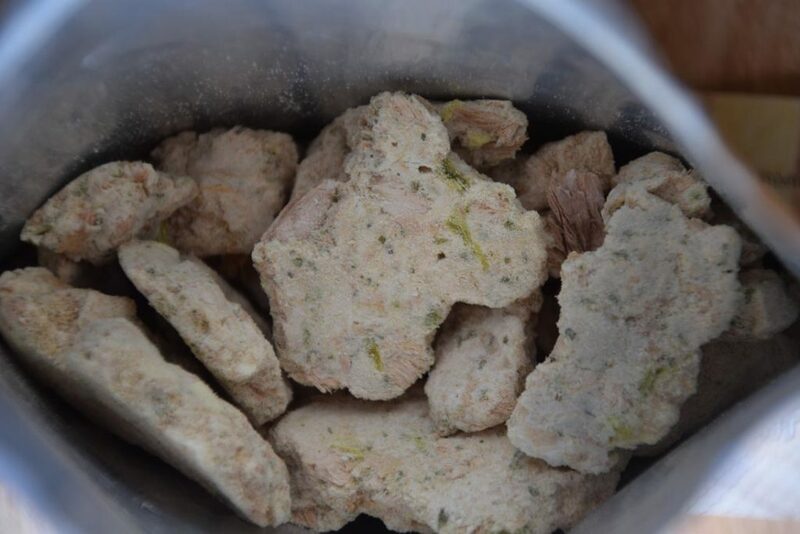 Well the Tuna Spread is the ‘least smelly’ freeze dried tuna meal I have encountered. It is full of flavour and quite more-some! Campers Pantry suggest you use 300mls of water and this amount worked well. Having said that some people like their tuna on the drier side so if that’s you, I would try 250mls first, wait a bit and then add a bit more. This way you’ll get just the right amount of moisture for you and your hiking buddy. If you’re planning to spread the spread (!) over several meals, I suggest that, before you leave home, you open the packaging and divide the contents evenly into the number of eating opportunities you’re after. And don’t forget to make a note of how much water you need to add to each. The meal comes in a bag that is well designed so you can eat out of the bag and leave the bowl at home. Alternatively you can prepare this dish in a seperate container and use as little or as much as you like, saving the rest for later. Given this is a double serve, that works well if your hiking buddy, like mine, is not keen on tuna. Unlike other freeze dried brand meals, the Campers Pantry meals don’t have a tear point to make the food easier to access. This doesn’t bother me as I prefer to use a long handled spoon and zip lock the bag when I’m done to minimise the mess in your rubbish bag. I enjoyed eating the Tuna Spread and plan to include it as an easy ‘add on’ for those times when you want a bit extra but not a full meal. 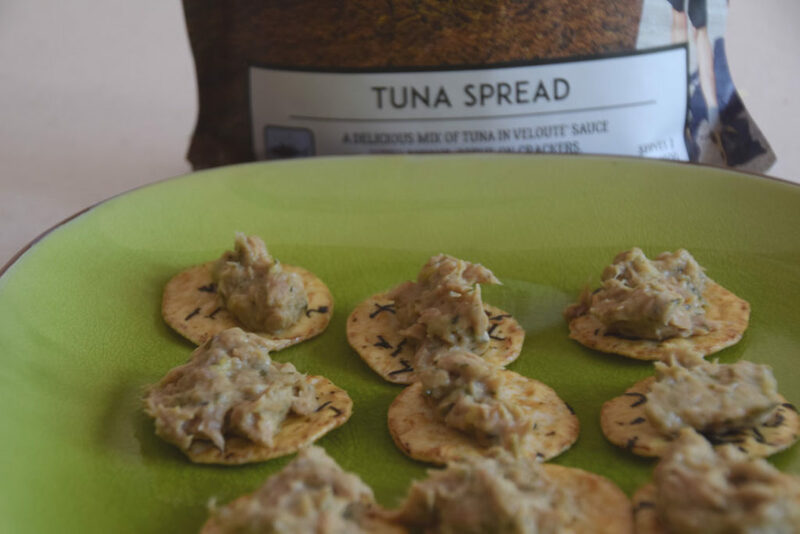 This is a great option for all us tuna lovers!